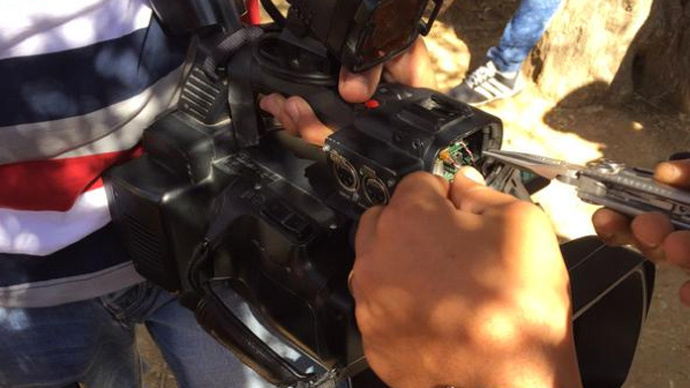 An RT Arabic TV crew was attacked by Israeli police while covering the Jerusalem Day march in the Old City. Although the journalists had all documents permitting them to cover the event, the police prevented them from going live. “After a terrible time we had to pass through check points that they erected everywhere along the Old City, they asked us to move away from the Damascus gate point. They didn't do it gently, they pushed us and broke our camera,” RT Arabic reporter Dalia Nammari later told RT International.